Our elegant Chamfered Oak skirting is a classic design well suited to all styles of property and comes in a choice of sizes. To balance higher ceilings choose a taller option. 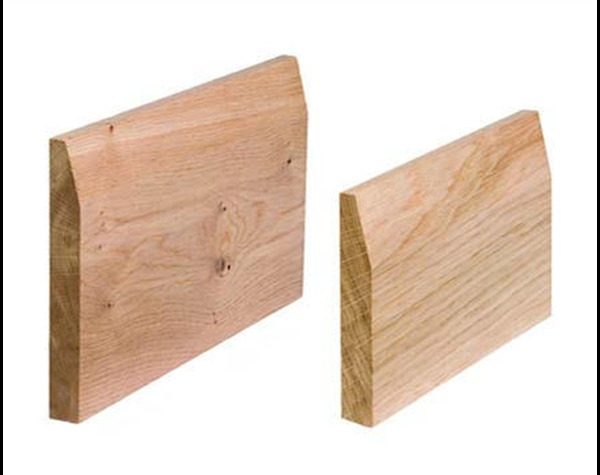 Our French Chamfered Oak skirting is normally supplied in lengths between 2000mm - 2400mm. It features some knots and is supplied unfinished to be filled, sanded and finished in situ. Broadleaf Oak skirting should be screw fixed and the screw holes covered using oak plugs. For finishing we recommend our own easyto apply, quick drying hard wax oil which is available in a choice of beautiful natural shades.